There was much to be celebrated at Pugh Elementary on Tuesday when fourth-grade ELA teacher Julianne DeLay was surprised by Achieve 180 Area Superintendent Felicia Adams as the Sterling McCall VIP Services Teacher of the Month for March. Only in her third year as a teacher, DeLay is hitting it out of the park with her students, who are producing literacy scores above the district’s average, further driving her as a top performer and role model for those in the Achieve 180 program. This entry was posted in Achievement/Recognition, News, Teachers and tagged Pugh Elementary School on March 27, 2019 by HISD Communications. HISD celebrates Educational Diagnosticians’ Week during the week of March 4-8 to celebrate and honor educational diagnosticians and their contribution to positive student outcomes. With nearly 150 educational diagnosticians employed at the district and the largest populations in the state of Texas, these professionals are trained to formally assess students in the areas of cognition and achievement. More specifically, educational diagnosticians identify challenges a student may be facing on his or her learning path. At HISD, one may find a diagnostician attending any type of special education meeting between the school, student and family, functioning as the expert in how a student learns and processes information. 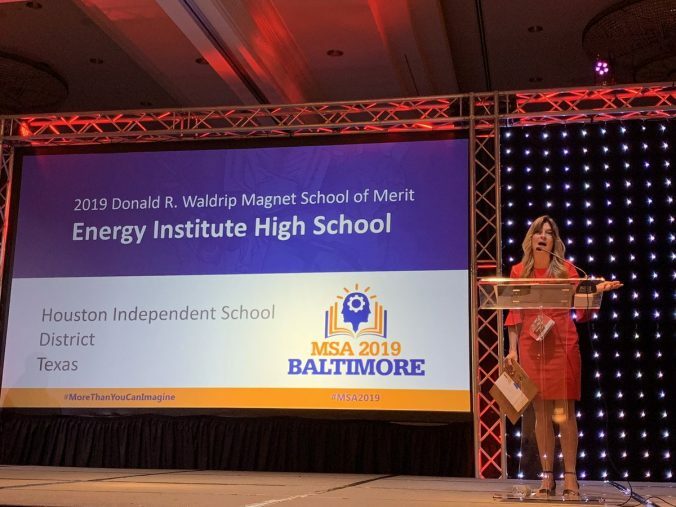 This entry was posted in Achievement/Recognition, News on March 4, 2019 by HISD Communications. HISD Family and Community Engagement Department (FACE) continues to make strides with its Family Friendly Schools program, experiencing a new record-high number of 170 campuses seeking to be certified for the 2018-2019 school year. Now in its fourth year, the Family Friendly School Program is bringing a new challenge: earning Platinum Certification. Launched during the 2015-2016 school year, the program focuses on guiding campuses who embark in a concerted effort to carry-out research-based activities and strategies to build relationships with families, link family events to student learning, develop parent capacity, and honor families’ diversity. This entry was posted in Achievement/Recognition, FACE, News and tagged Family Friendly Schools on March 4, 2019 by HISD Communications. There was a wave of celebrations on Wednesday morning as the district crowned its 2018-2019 elementary and secondary Principals of the Year. The first stop for a caravan filled with district leadership and staff was at Durham Elementary School, where campus administrators, teachers and students filled the cafeteria to surprise Principal Amy Poerschke as this year’s Elementary Principal of the Year. “When district leadership interviewed Principal Poerschke earlier this year, it was music to my ears to hear her passion and commitment to ensure all children at her campus and beyond received the absolute best in their education,” Interim Superintendent Grenita Lathan said. It wasn’t hard to keep a smile on everyone’s face as Poerschke was greeted by students offering cheers and high-fives as the third-year principal made her way through the crowd. This entry was posted in Achievement/Recognition, News and tagged Durham Elementary School, Principals of the Year, Worthing High School on February 27, 2019 by HISD Communications. 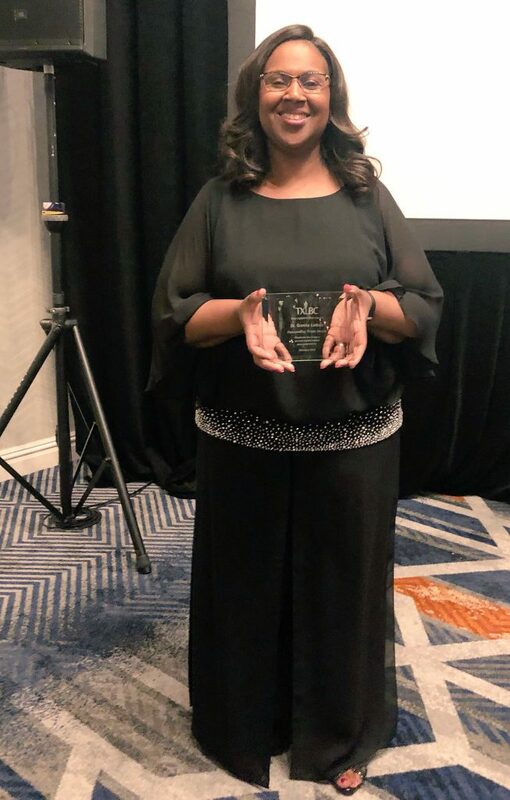 Houston Independent School District Interim Superintendent Grenita Lathan has been named one of this year’s Outstanding Texans by the Texas Legislative Black Caucus (TLBC). The award is given to individuals from the public and private sector who demonstrate exemplary service and commitment to their community. Lathan received her award at the TLBC Outstanding Texan Award Gala in Austin on Monday. The chair of the Caucus for the 86th Legislature is State Rep. Harold Dutton. This entry was posted in Achievement/Recognition, News on February 25, 2019 by HISD Communications.